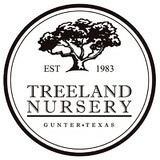 Treeland Nursery is family owned and has been in operation since 1983. We specialize in container tree sales and planting for retail customers. Treeland Nursery operates on a 50 acre tree farm north of Dallas, Texas and stocks over 7,000 trees and shrubs, which makes us one of the largest nurseries and tree farms in the Dallas - Fort Worth Metroplex. Whitlock Commercial Services, Inc. where every facet of our company is designed with one objective in mind – Customer Satisfaction. We are fully insured and offer the flexibility necessary to meet the unique requirements of each and every customer. 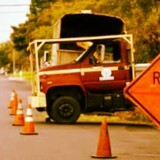 From the most fragile to the most stubborn of jobs, we have the capabilities and skills to handle it. We offer a simple one-stop-shop approach to your commercial and residential needs. No hidden costs, no confusing pricing, just straight forward impeccable service at a great price. We offer a variety of tree services such as tree trimming, tree pruning, storm damage tree repair and removal, stump grinding, and deep root fertilization. Our company prides itself on being “green” and offering the best in customer service. We have Certified Arborists on staff to answer any difficult questions you may have. Our fully trained professionals can handle any job big or small. We are fully insured for your protection, this is a important thing especially if you have a tree that needs to come down near your home. You want a company that you can not only know but trust with that responsibility. The 505 Ranch Club is an exclusive waterfront community on Cedar Creek Lake. With only 56 lots, The 505 Ranch offers the best of both ranch and lake living. The 505 Ranch, a quick 45-minutes from Dallas on Cedar Creek Lake, provides space to get away and breathe with your family. Gorgeous lakefront lots supplied with amenities to create memories that last a lifetime. Your Sachse, TX tree service professional or arborist might work in conjunction with another landscape professional to create a seamless landscape design. Here are some related professionals and vendors to complement the work of tree services: Landscape Contractors, Landscape Architects & Landscape Designers, Garden & Landscape Supplies. Find tree service professionals on Houzz. Look in the Professionals section under Sachse, TX tree services. You can look through portfolios and read reviews to see what past tree care clients have to say.